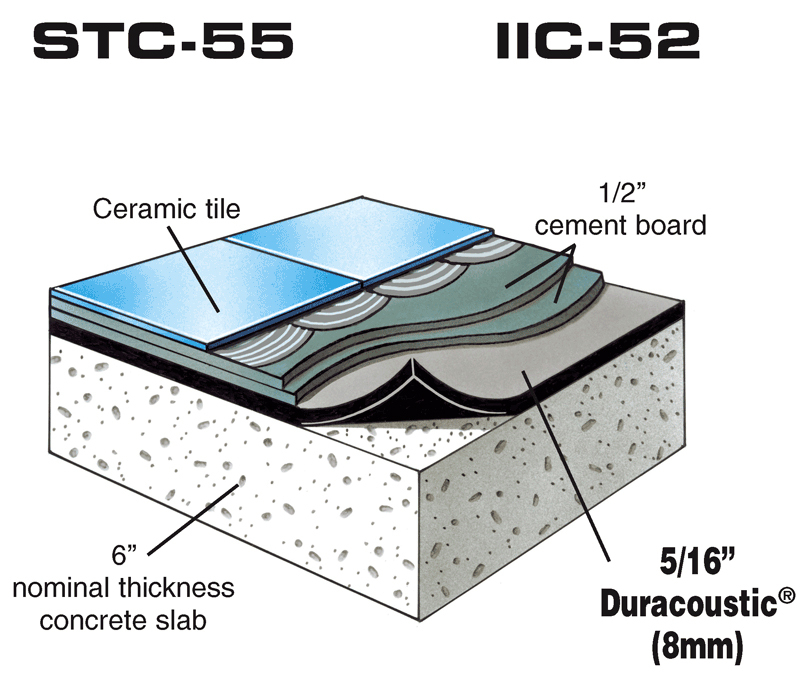 Duracoustic sound control underlayment offers a simple but very effective solution for creating floor systems which meet stringent sound ratings in multiple-story dwellings, condominiums, hotels, apartments, private homes and business applications including old building conversions into condominiums. Duracoustic is made from 85% recycled rubber. It is a reinforced rubber mat with an open cell structure which enhances its sound deadening properties making possible the installation of cost effective sound rated floors. The Duracoustic underlayment system acts as a decoupler by breaking the sound transmission path through the floor-ceiling assembly and prevents noise flanking room to room. 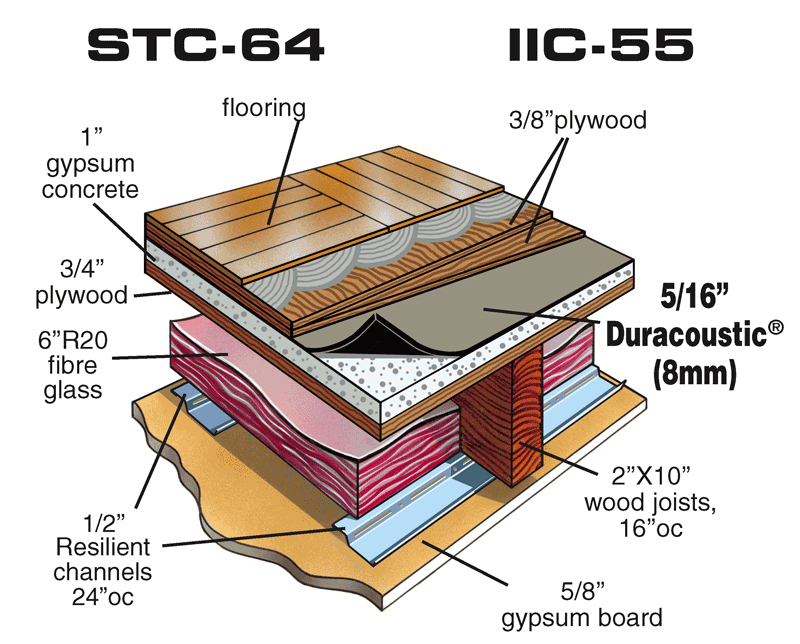 Testing has demonstrated outstanding sound attenuation with a variety of construction assemblies and floor coverings including ceramic tile, hardwood, laminate and engineered wood floors. 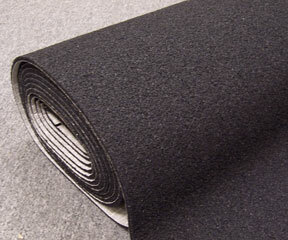 Open cellular rubber bonded to fiberglass/cellulose backing scrim. Conceals floor irregularities. Resists mold, mildew and fungus growth. Designed for high traffic, long lasting floor impact noise control. 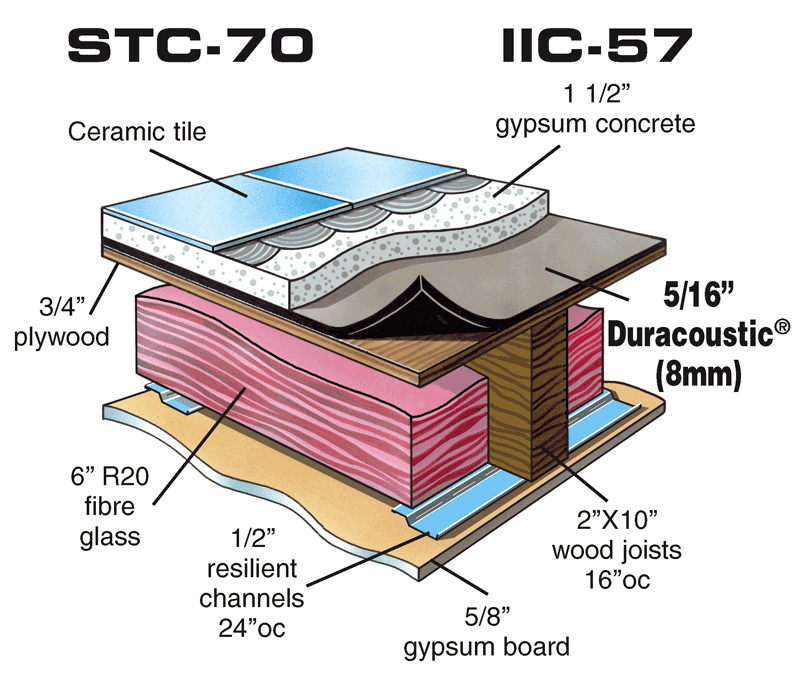 Floor/ceiling applications requiring sound privacy. Apartments, condominiums, schools, offices, hospitals.